In Fear Itself, Edward Albee, Edwidge Danticat, and others think about what fear means to them; Yoshihiro Tatsumi depicts hell; and a detainee describes Guantánamo. Plus new fiction from Lydia Davis and Etgar Keret, poems from Burma, fiction from Mexico—and much more. 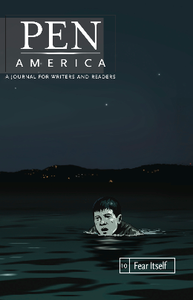 Writing from this issue has been reprinted in The Utne Reader and Harper’s.